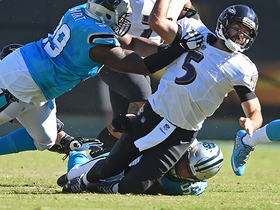 Snead caught five of 11 targets for 54 yards in Sunday's 36-21 loss to Carolina. 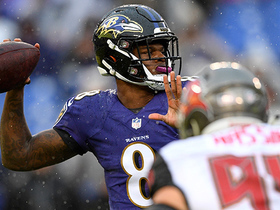 Analysis: Snead saw just one fewer target than John Brown and Michael Crabtree combined on the day but still failed to do much with the opportunity in what was Joe Flacco's worst game of the season in terms of passing yards. The 26-year-old has made at least five grabs in all but two weeks this season yet still has not surpassed 60 receiving yards in a single contest. He'll look to break that streak Week 9 at home against Pittsburgh. Snead caught three of seven targets for 23 yards Sunday against the Saints. Snead caught seven of 10 targets for 60 yards in Sunday's 21-0 win over the Titans. Analysis: Snead saw season highs in both catches and targets and set a new mark for yards as a result. Nevertheless, he still hasn't scored a touchdown since the first week of the year and remains best employed by those in need of a high-floor receiver in PPR leagues. The 25-year-old has at least four catches and 49 yards in all but one game this season and will look to do it again Week 7 against the Saints. Snead caught five of seven targets for 55 yards against the Browns on Sunday. 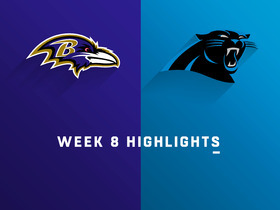 Analysis: Sunday marked back-to-back weeks with at least seven targets and at least five catches for the first-year Raven. Snead gets most of his work between the 20s, however, and hasn't seen a red-zone target since Week 1. He's catching nearly 70 percent of his targets and sees over six targets per game, making him a reliable low-end option in PPR formats. Snead caught six of seven targets for 56 yards Sunday against the Steelers. Analysis: Sunday marked Snead's best performance of the season as he brought in a season-high six grabs and gained a new season high in yards. Snead has seen between five and eight targets each week through the first four games of the season, and is catching just under 70 percent of those looks. He will face off against the Browns in Week 5. Snead reeled in three of five passes for 39 yards in Sunday's win over the Broncos. 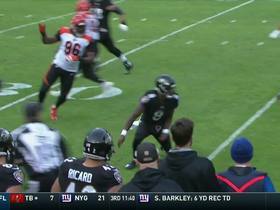 Snead secured five of eight targets for 54 yards in the Ravens' 34-23 loss to the Bengals on Thursday. Analysis: By securing nine of 14 targets over his first two games as a Raven, Snead has now surpassed his catch total for all of 2017 n New Orleans. The 25-year-old speedster is working well in concert with Michael Crabtree and John Brown thus far, and his eight targets Thursday were second only to the starting duo. Snead's early involvement is certainly encouraging, and he'll look to continue leveraging his one-on-one matchups against the Broncos in Week 3. Snead snatched four of six targets for 49 yards and a touchdown during Sunday's 47-3 win over the Bills. 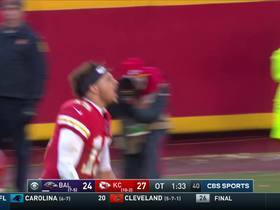 Analysis: Snead kept things going in the third quarter, cutting across the middle for a 13-yard touchdown, breaking a tackle or two along the way. Saints fans are familiar with Snead's playmaking ability. 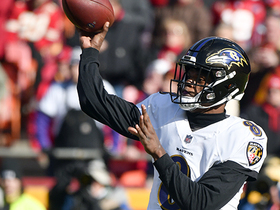 He faced the squeeze in New Orleans, but he ended up leading a receiver-starved Baltimore squad in yards on Sunday. Snead didn't play in Saturday's preseason win over the Dolphins. 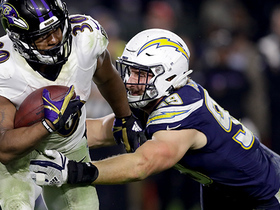 Analysis: The Ravens held out Snead, Michal Crabtree, John Brown and QB Joe Flacco, with starting RB Alex Collins logging only two snaps. Snead presumably will also sit out the preseason finale, thus finishing the exhibition slate with one catch for eight yards across 29 snaps. 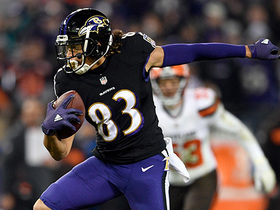 He's locked in as Baltimore's slot receiver for a Week 1 home game against the Bills. Snead isn't in uniform for Thursday's Hall of Fame Game against the Bears, freelance NFL writer Jeff Zrebiec reports. Analysis: Snead is among a new set of wide receivers in Baltimore this season, arriving in April after the Saints declined matching a two-year, $7 million offer sheet. In addition to Snead, Michael Crabtree and John Brown will be on the sideline in the preseason opener. The Saints will not match Snead's offer sheet with the Ravens, Adam Schefter of ESPN reports. The Saints are not expected to match the two-year offer sheet Snead signed with the Ravens, Jason La Canfora of CBS Sports reports. Snead, a restricted free agent, is signing a two-year offer sheet with the Ravens, Adam Schefter of ESPN reports. Snead reported to the Saints on Monday for the beginning of the team's voluntary offseason workout program, Ian Rapoport of NFL Network reports. Snead is visiting the Ravens on Wednesday, Adam Schefter of ESPN reports. The Saints are using an original-round restricted free agent tender on Snead, ESPN.com's Adam Schefter reports. 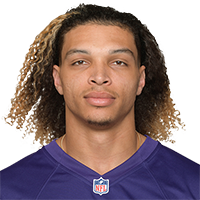 Snead caught two passes on three targets for 18 yards in Sunday's 29-24 NFC divisional-round loss to the Vikings. 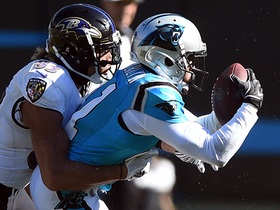 Snead caught one pass on one target for seven yards in Sunday's 31-26 playoff win over the Panthers. Analysis: Snead played 20 of the Saints' 58 offensive snaps and was thoroughly out-produced by the three receivers ahead of him on the depth chart -- Michael Thomas, Ted Ginn and Brandon Coleman -- as well as tight end Josh Hill. 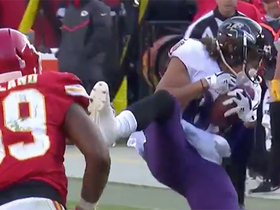 Snead totaled just eight receptions for 92 yards in 11 regular-season games, so it seems unlikely that he'll emerge as a viable fantasy threat during the playoffs, particularly with a difficult test against a tough Vikings secondary on deck next week. Snead hauled in one of three targets for 23 yards in Sunday's 31-19 win over the Jets. Snead is expected to take on a larger role in the Saints' offense in Sunday's game against the Jets with Ted Ginn (ribs) set to miss the contest, Jane Slater of NFL Network reports. Snead caught one pass on two targets for zero yards in Thursday night's loss to the Falcons. Analysis: Snead played 22 of 52 offensive snaps (42 percent), which represents an increase over prior weeks. Still, Snead was unable to do much of anything with the additional playing time, failing to gain a yard on his only reception. It's been a lost year for a player many pegged to be the primary beneficiary of Brandin Cooks' offseason departure, and there are few signs that things will turn around in the season's final month. Snead logged 36 percent of the offensive snaps in Sunday's 31-21 win over the Panthers, catching both of his targets for 31 yards. Analysis: Snead had his best game of the season, but he's still merely serving as the No. 4 receiver in an offense that likes to lean on its running game. Even if he were to surpass Brandon Coleman and reclaim the No. 3 role, Snead probably wouldn't draw more than four or five targets per game. Snead caught one pass on one target in Sunday's loss to the Rams. Analysis: Snead's only grab came in the red zone, but he was dragged down a few yards short of the end zone on the play. Snead played only 19 of 57 offensive snaps (33 percent), so barring an injury to one of the Saints' top receivers, the Ball State product can likely be ignored in most fantasy leagues. Snead only logged 14 snaps in Sunday's 34-31 overtime win over the Redskins, Josh Katzenstein of The New Orleans Times-Picayune reports. Snead played a season-high 36 offensive snaps in Sunday's 47-10 win over the Bills.